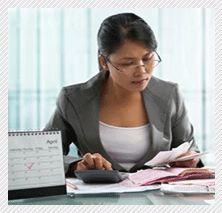 The question of whether to hire a bookkeeper is one that many businesses come upon every year. Sometimes a company just grows to the point where it gets harder and harder for the owners to keep up with financial records while also attending to all of the other aspects of running the business. What is the importance of bookkeeping? Good financial records determine the end result when filing your taxes. If you don’t record your income and expenses correctly, you could ultimately end up paying more in taxes. How can a company justify paying someone else to do work that has always been done in house? If you currently have an employee handling your bookkeeping, you are paying payroll taxes, workman’s comp, possible health benefits, and overhead. You may also be spending precious time managing this employee instead of running your business. WHY DEAL WITH THE HEADACHES and overhead of hiring employees to do your bookkeeping? Outsource your bookkeeping and payroll and let the professionals handle it for you. ALTERNATIVE SOLUTIONS is a Napa Valley based business operating since 1997. We provide outsourced, full charge bookkeeping and payroll services to small and medium sized businesses of various industries. WE BELIEVE that every business is unique therefore we customize our services to fit your business needs. By letting us process your bookkeeping and payroll, this allows you to manage your business and thrive in what you do best. Contact us today for your complimentary consultation and start outsourcing your bookkeeping and payroll today! !